Kell Brook’s victory over Michael Zerafa yesterday was supposed to mark the final chapter before a long-awaited grudge match with British rival Amir Khan. After two years away from the ring, Khan returned this past April with a 41-second knockout of Phil Lo Greco. 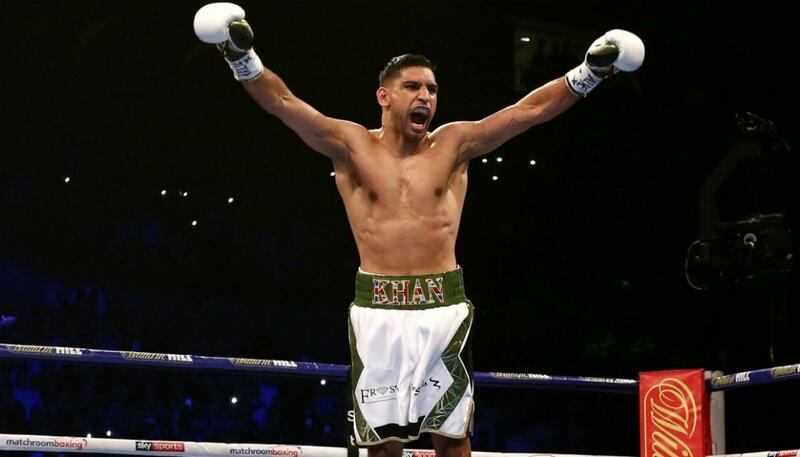 He then faced Samuel Vargas in September, and while he was knocked down in the fight, Khan managed to secure a decision win. Brook, meanwhile, has rebounded since losing the IBF Welterweight Title to Errol Spence Jr. with two victories in 2018. Promoter Eddie Hearn hoped for a deal to be set in place prior to Brook’s Dec. 8 fight, but Khan is now floating the idea of taking at least $5 million guaranteed to challenge WBO Welterweight Champion Terence Crawford on March 23 at Madison Square Garden in New York City. Brook vented frustration with the situation after his win, but Khan says it comes down to him having more options than Brook. “I can’t see that much left in him after having both his eye sockets broken and having his boxing broken,” Khan said. “He’s living a bit of a crazy life. I don’t know if he’s doing it for the money or I don’t know what he’s doing it for. Maybe that’s one of the reasons he’s fighting all these easy opponents because he knows if he fights someone half decent, the fight with me might be off. The only option he’s got out there is me, other than me he’s got nobody else. I’m speaking the truth and speaking the truth is going to hurt him and I’m breaking him down. Skill wise, I can out-box him anyway, and out-beat him. He’s not going to be nice, we’re not friends, we’ve got to go in there and its business to us.